This is a 12” x 12” Basket Bowl. It is about 2.5 to 3 inches deep. 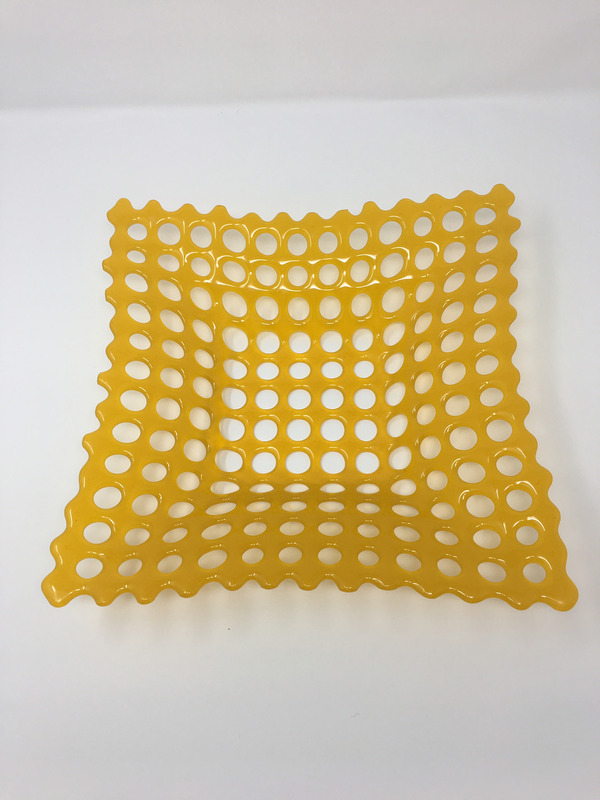 This basket was made with marigold yellow glass and then sandblasted at the Studio of the Corning Museum of Glass, where we rent time at their cold working studio..